Today we have Bianca Butterman with us. She’s part of the Butterman Travel Series. I just love that name, and I can’t wait to dive into this book. The fact that I don’t sleep a wink leaves plenty of time for reading–which is much better than studying for exams! Bianca Butterman is part of the Butterman Travel series. 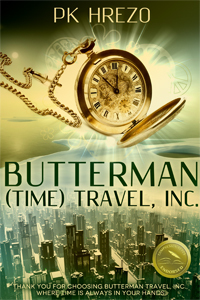 Book 1 is Butterman (Time) Travel, Inc. and Book 2, Induction Day, is also available. And the Prequel Novella, Diary of a Teenage Time Traveler is available for free. PK Hrezo is a chocoholic, guacoholic, and rockoholic. She writes YA and NA spec fic, as well as non-fiction. 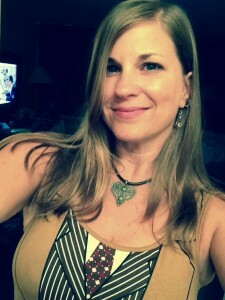 Mother of two, wife of a firefighter, and international airline agent by night. Thanks, PK, for letting Bianca stop by! This entry was posted in Uncategorized and tagged Bianca Butterman, Four Word Interview, PK Hrezo by Lynn Rush. Bookmark the permalink.